A single tractor working at sunset on a farm in Wongan Hills has taken out this year’s Youth Environment Photo Competition. The five winners of the competition organised by natural resource management group Wheatbelt NRM were announced at the Dowerin Field Days. 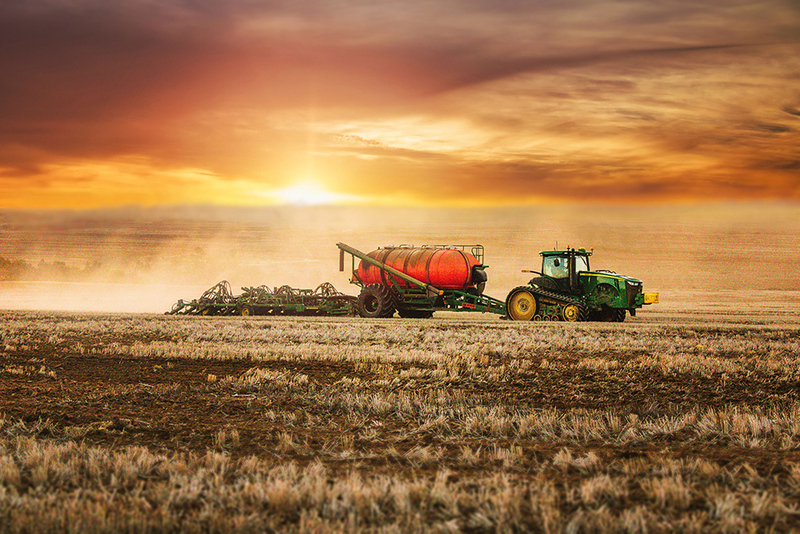 Twenty-two year old Julie Anderton from Wongan Hills won best overall picture with her photo of a tractor seeding at sunset, pictured above. 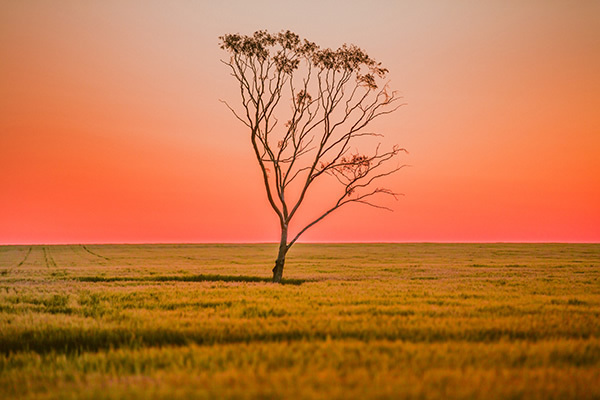 A single salmon gum standing in a crop of barley shot by 35-year-old Kristo Orma from Hyden won the Paddock Trees category. An aerial shot of Lake Baandee entered by 29-year-old Jonathon Dyer from Kellerberrin won the Sense of Place section. 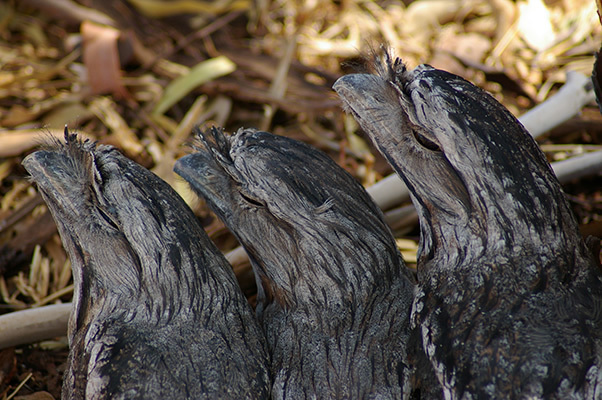 A photo of three Tawny Frogmouth birds resting in the shade won 23-year-old Sally Read from York first place in the Flora and Fauna section. 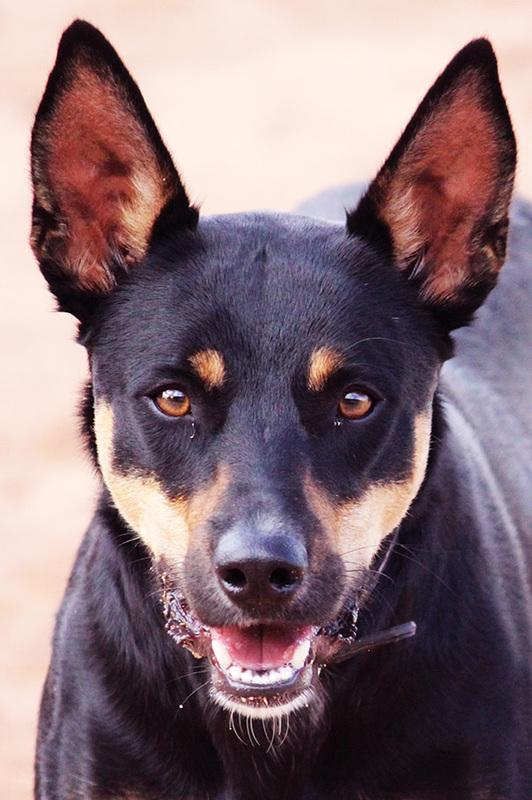 An image of working kelpie dog Meg won16-year-old Kaylea Richards from Merredin the Faces of the Wheatbelt section. The overall prize was an iPad while the category winners received $100 each. People wanting to enter needed to be aged under 35 and living in the Wheatbelt. Wheatbelt NRM’s Chris David thanked participants for the hundreds of entries they had received. “Each year this competition grows and grows with young people not having to wander too far away from home to find some great images to share,” Chris David said. The competition was supported by Wheatbelt NRM with funding from the Australian Government’s National Landcare Programme.